Choose what you want combo you want. Add an LED to indicate when the battery is done charging. Increases power consumption by ~15mA. I recommend the 500mA option for cells over 500mAH. 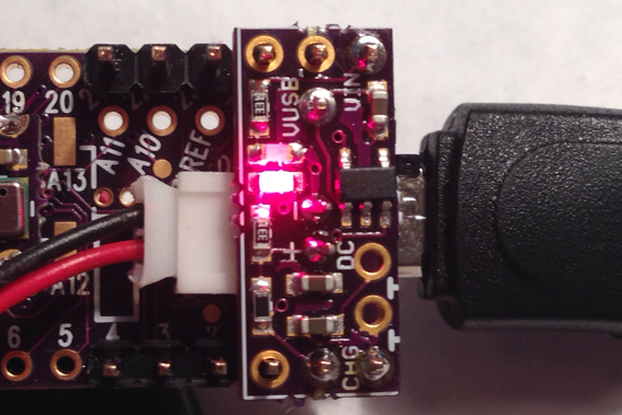 Tired of having your Teensy projects tethered to a USB cable, but don't have any space for a battery? 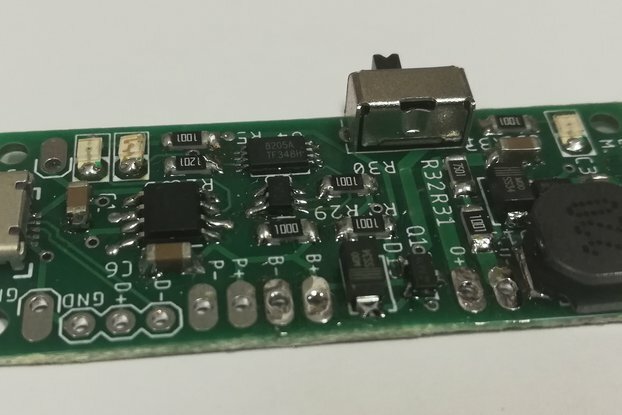 This is a miniature LiPo charger that is compatible with all 32-bit Teensy boards (including Teensy LC). It's designed to sit underneath the Teensy, making it super discreet. 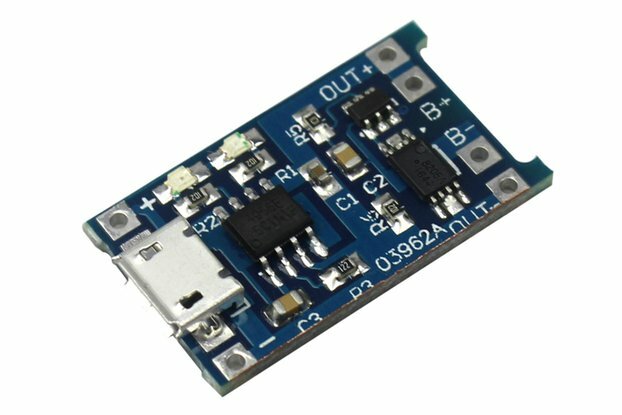 If you are planning to use it with Teensy 3.5/3.6, the Board + Battery + Connectors option is best. The battery should nestle underneath the Teensy perfectly with very little wasted space. If you are going with a Teensy 3.2/LC, I recommend getting the Board + Battery option and soldering the battery directly to the board. Just keep in mind that the battery will be slightly longer than the Teensy board. Before soldering your board, make sure you cut the trace on the back of the Teensy separating VIN from VUSB, otherwise it won't work properly! I designed this board for a Teensy-based GPS tracker, because I didn't have enough space in my enclosure for a separate charging board. I wanted to make it as small as possible, and I realized that I could use the otherwise wasted space underneath the Teensy for a charging board and battery. First of all, this charger is tiny. The LiPo battery sits underneath the Teensy, where there's usually a lot of unused space, making your project super compact. It also incorporates an on/off switch so you can select USB or the battery as the input source. Also, I added a nifty voltage divider that lets you know when your battery is getting low. The voltage divider draws less than 10uA, so you don't have to worry about it draining the battery anytime soon. I designed the voltage divider such that 1 ADC count = 0.1mV when using the 1.2V internal reference and 16-bit ADC resolution. Reading the precise battery voltage is super simple - just divide the ADC count by 10,000. The cells I offer are higher quality than most cheap LiPos. They have current limiting and over/undervoltage protection circuitry, so they will take a beating. I have tested the cells myself, and they average about 160mAh, which should be plenty for most low power projects (wireless sensor nodes, gps trackers, etc). Should you happen to need more capacity, I recommend using 18650 cells as they are inexpensive and easy to come by. I offer a 500mA charge option specifically for these larger cells (anything over 500mAH). Feel free to send me a message if you have questions about the board or how to use it! Side note - doesn't include a Teensy board!